Paradise bay resort made us feel as if we were in paradise. The breakfast was amazing, staff were excellent and friendly. The last night we received a complementary room upgrade. I would definitely visit again. Tropical Landscaping Surrounds you With Beautiful View of Koolau Mountains! So you're kicking around the idea of a getaway to Kaneohe? If you want a place to lay your head that's located close to Kaneohe attractions, use Orbitz to pick your travel dates, and then presto! Review the list of hotels and other accommodations to find those that are close to everything you want to see. Whether you're looking for an affordable motel or a cozy bed & breakfast, Orbitz has 38 accommodations in Kaneohe including 6 apartments. Search by filters such as price, neighborhood, guest rating, or popular locations, depending on what's most important to you. 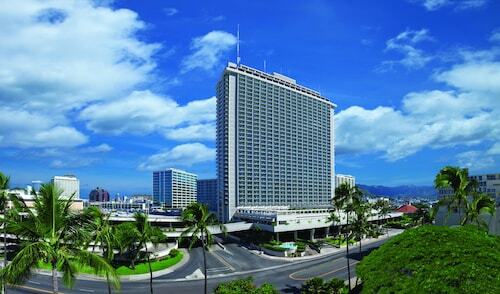 We make it easy to find a convenient flight into Honolulu, HI (HNL-Daniel K. Inouye Intl. ), which is 10.1 mi (16.2 km) from the heart of the city. Find your ideal flight in nothing flat by using the filters on our site to narrow down your search. 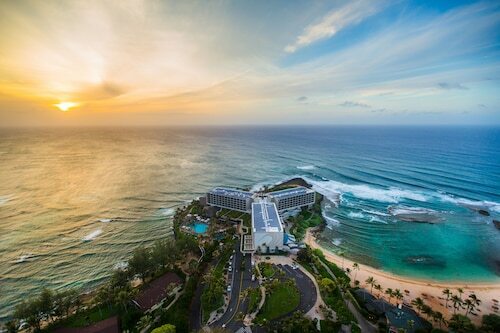 There may be just a few hotels and accommodations to choose from in Kaneohe, but here some other options located nearby so you have some choices. What's the Weather Like in Kaneohe? Luxury Kaneohe Home With Ocean Views and Bay Access!